Orkney, Shetland, Moray and Aberdeenshire have some of the worst broadband connections in the UK, according to new research. A study by consumer group Which? evaluated the broadband speed in local authority areas across Scotland, England and Wales. Four areas were listed bottom of a list of 32 Scottish local authorities for the standard of broadband connection. Orkney (at 3Mbps), Shetland (6.7Mbps), Argyll and Bute (7Mbps) and Moray(7.1Mbps) were also recorded as having the slowest internet connections in the UK. The research by Which? suggests internet users in some of these areas could struggle to carry out online banking or to use streaming services due to slow internet. Spey Bay resident John Wright, a retired accommodation manager for the military bases at Lossiemouth and Kinloss, has long campaigned for better broadband to be introduced in Moray. Last night, Mr Wright voiced hopes that the new research laying bare the extent of the region’s problems could encourage action to be taken. He said: “We have a lot of farmers here who rely on the internet and with online banking becoming increasingly important, as local branches close, it is important we can depend on a decent connection. Meanwhile, Orkney and Shetland MP Alistair Carmichael, said the figures made for “difficult reading” for the UK and Scottish governments as they laid bare the “digital divide” between the Northern Isles and the central belt. Also lagging behind were the Highlands (8.9Mbps), Borders (9.3Mbps), Aberdeenshire (10.1Mbps), Perth and Kinross (10.1Mbps) and Na h-Eilean Siar (11.5Mbps). 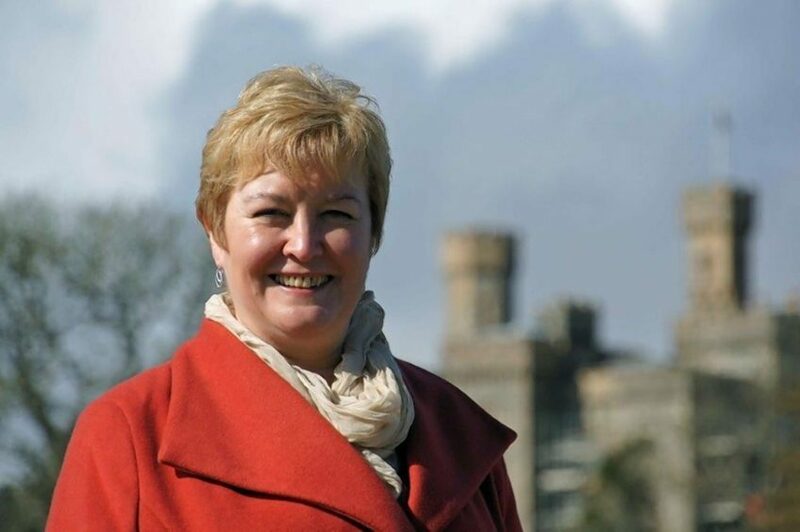 Highlands and Islands MSP Rhoda Grant said “These figures come as no surprise to me, that is why I have been actively pushing for better broadband speeds for our rural areas in the north for nearly 10 years now. Highlands and Islands MSP Rhoda Grant. The analysis indicated the fastest local authority in Scotland, and the third fastest in the UK, for broadband speed was West Dunbartonshire, with an average 29.6Mpbs. The findings suggest that downloading a film in Orkney would take around seven times longer than it would in West Dunbartonshire. Other areas in Scotland which receive a faster connection include Inverclyde (26.9Mbps), Dundee City (23.1Mbps), North Lanarkshire (22Mbps) and East Renfrewshire (21.4Mbps). The UK Government pledged to ensure a bare minimum connection speed of 10 megabits per second across the country by 2020. The consumer group’s data also suggests that six of the 15 UK local authority areas that are currently failing to reach 10 megabits per second are in Scotland. The Scottish Government has said it will ensure that all of Scotland has access to superfast broadband (speeds greater than 30Mbps) by 2021 – the “Reaching 100%” (R100) commitment. Alex Neill, Which? managing director, said: “It’s incredibly frustrating that so many Scots are still struggling to get a good broadband connection when so many of us rely heavily on the internet to carry out important everyday tasks. Scottish Labour’s infrastructure, connectivity and transport spokesman Colin Smyth said: “Scotland faces a digital divide with swathes of rural areas unable to access decent broadband. “As this report exposes, the SNP’s roll-out of fibre broadband has failed to deliver, with many rural areas receiving super-slow broadband rather than super-fast.